Traditionally, developing strategies for a brand has been like a chess match. Slow, calculating, methodical moves that unfold over time to hopefully set a marketer up for success. While we can agree that taking all the steps necessary to create a compelling brand strategy is important, there are instances when the budget and timeline don’t cooperate. So, what’s the alternative? 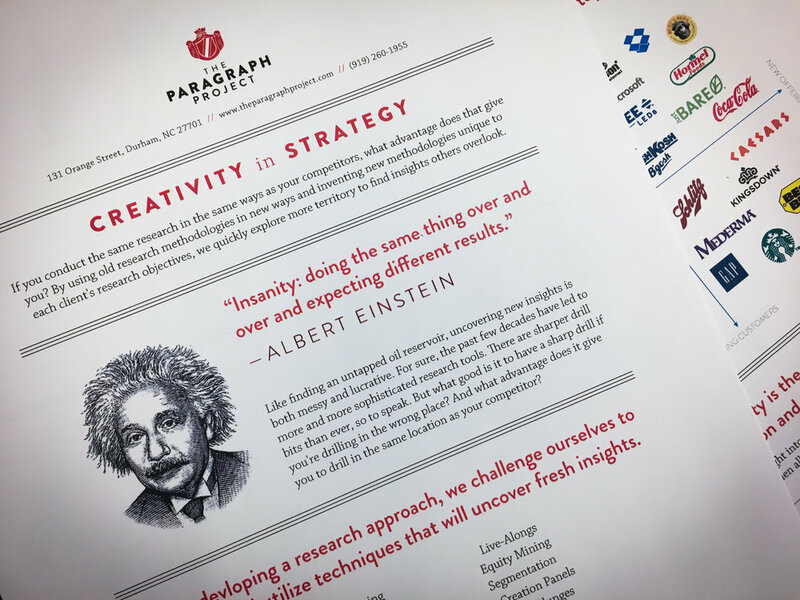 Over the past decade, PARAGRAPH has worked with over 200 brands across dozens of industries. Through these experiences, we’ve scrutinized every component of the process used to develop brand strategies and have identified the most essential steps, the most important conversations to have and the most efficient research methods. This has allowed us to condense the process down to two weeks. We call it our Brand Strategy Sprint. It’s just enough to get any brand started down the right path. Find out if the Brand Strategy Sprint is right for you.